Gypsy Gift 2016 Voting has Started! Stop Wishing. Start Doing. VOTING FOR GYPSY GIFT 2016 STARTS NOW! Visit https://a.pgtb.me/HhdMw0 to place your votes for your favorite center daily (once every 24 hours). 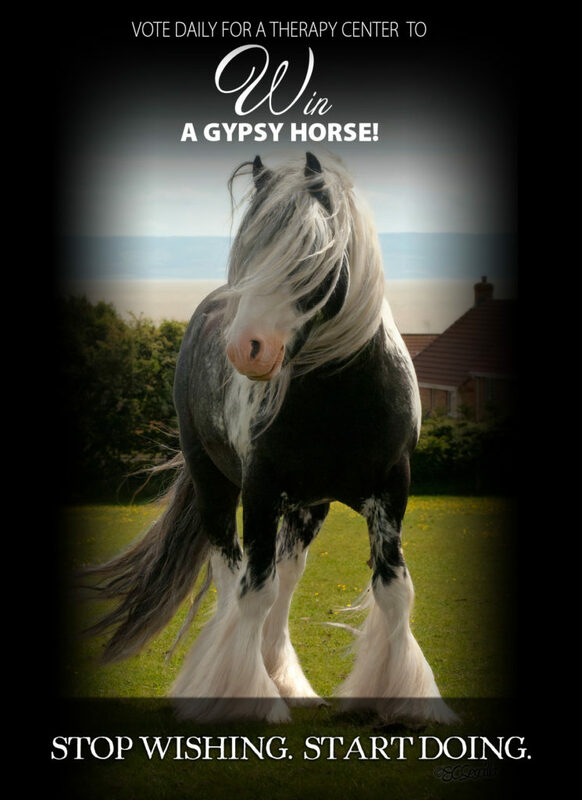 Voting for Gypsy Gift 2016 nominated centers to receive 1 of 10 Gypsy Horses begins at 12 pm EST today, April 18, 2016 and ends at 12 pm EST, on June 11, 2016! Winners will be announced at 12 pm EST on June 12, 2016! The centers will be presented with their Gypsy Gift Horses at our “Passing of the Lead” Gypsy Gift presentation on July 2, 2016 at LexLin Gypsy Ranch here in Rockwood, TN.